Does your home need to be "HGTV ready" when it comes time to hit the market? Recently, we had a home seller tell us they were advised by another real estate agent to prepare their house for the market in a specific manner. They were told that the standard was "HGTV Ready. So the homeowner asked us how many changes they needed to make to their home to get it ready for the market. With the standard being an ambiguous "HGTV Ready," they wanted our opinion on what needed to be done. Well, I don't watch HGTV, so I don't know what their "ready" status requires. But I do know what is needed to sell a home in Tallahassee. Rather than relying on an entertainment channel, let's just focus on what I've uncovered brokering real estate in Tallahassee over the past 26 years. 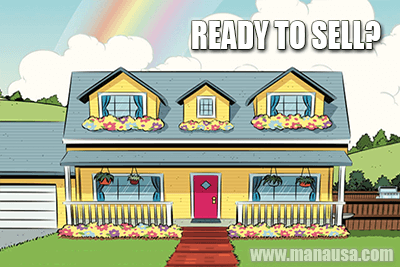 When it comes time to sell your home, you want buyers to see it in its most favorable light. Simply put, the nicer the home, the more money you will get. But does that mean you need to do a ton of work to get top dollar for your home? So many of the recommendations I have been told real estate agents are pushing do not make sense (cents). Think about this. Would you spend a dollar to increase your home's value 50 cents? 70 cents? 99 cents? A dollar? Any money that you invest in changing your home for the purpose of getting it sold falls under the category "risk capital." There are no guarantees that changing your carpet will net you more money than you spend, right? So you risk money with a plan of getting back more than you spend. Otherwise, why spend it? This is where some of these TV shows might be harmful to home sellers (and the real estate agents who get their "training" by watching them). Sure, put a $60,000 renovated kitchen in an older home and you have increased the home's resale value, but maybe not $60,000 more! Why not just lower the price $60,000 and not risk the capital? My experience has taught me to behave like a prudent carpenter when it comes to prepping your home for a sale. Measure twice and cut once. When a "real estate professional" tells you to change your home substantially, immediately go out and get a second opinion. You are likely not an expert at deriving ROI from home improvement, so don't let the excitement of doing all those fun changes to your home (that you will be giving to your buyer) convince you to spend more money than you'll recover during the sale. 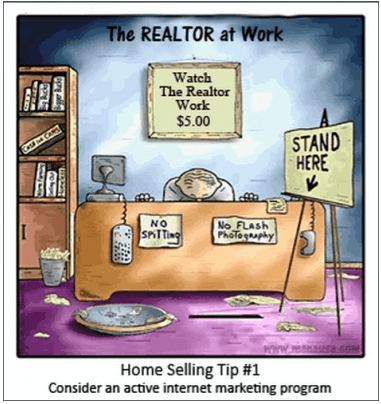 Preparing a home for a sale should have you focus on profitable changes, not sale-able changes. The argument that a home will be easier to sell is hogwash. Price reductions make a home more saleable than do cosmetic changes. Why? Because the lower your price, the more people that can afford it. The opposite is true too. Adding a bunch of expensive changes to your home will require you to increase the price and thus reduce the size of your buyer pool. This is all good so long as it is profitable, right? Ultimately, getting advice is easy. Everybody seems ready to give it. Rather than go with "what your friends think," I encourage you to seek professional advice. Evaluate the "professional" by asking questions. Every time an improvement is recommended, ask the professional what you think it will cost and what its impact will be on the selling price. Remember, profit is required for risk capital. By the way, the homeowner mentioned in the opening paragraph did hire us to sell the home. They put 20% more money in their pocket after the sale than they would have had they followed the advice of the agent pushing them towards an HGTV Ready home.